For General Admission tickets and Super Pass opportunities, visit Event information below. For Rider, Race Team and Industry tickets and credentials, visit the CREDENTIAL PROGRAM. Must be accompanied by a Camping Pass holder. Valid for extra cars and non-sleeping vehicle only. Pick up pass @ Will Call/Rider Services, located across the road from the Pro Gate. Includes (2) adult GA Tickets, (2) kids (6-11) GA tickets, (1) four pack of Red Bull, (2) #1 Foam Fingers and (2) Racer X Coozies. Pick up items at Welcome Center. Pro Race Day Saturday includes shaded tent viewing area with bleacher seating, Pro Pit access all weekend including all day Saturday 9am - 5pm, adjacent viewing to Pro paddock, private restrooms. No alcohol allowed. Includes elevated 10x10 indoor air-conditioned viewing area with excellent view of the racetrack, chairs and live PA feed. Includes (8) admission tickets with All Day Pro Pit Access. Includes a dedicated 20x20 tent adjacent to Start Line with excellent view of the racetrack, chairs and restrictive fencing for privacy. Includes a dedicated 10x20 tent adjacent to Start Line with excellent view of the racetrack, chairs and restrictive fencing for privacy. Pro Pit access Saturday 9am-Noon. Requires purchase of General Admission ticket. Pick up pass at Announcers Tower next to Pro Pit Entrance. 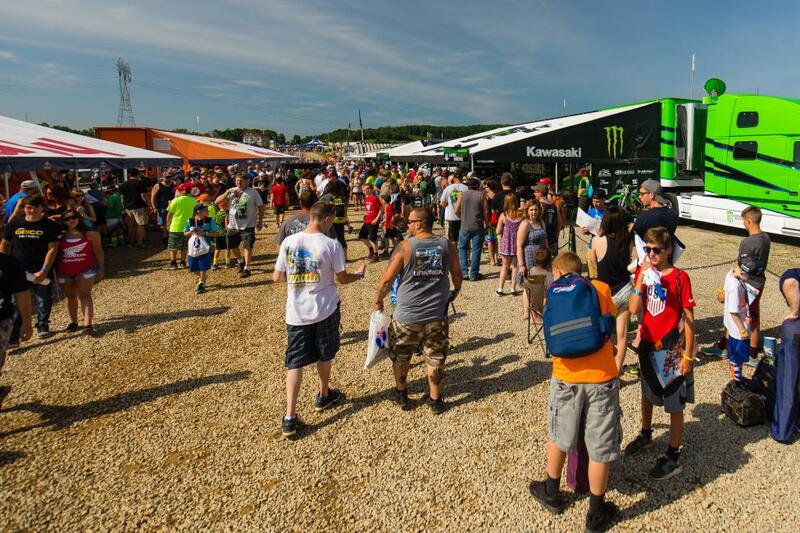 VIP Super Ticket, High Point Club and Racer X Pit Pass holders must pick up their credentials at Will Call, located across the road from the Pro Gate. Will Call times: Friday (9 am – 5 pm) and Saturday (7 am – 2 pm). Here are some frequently asked questions regarding ticketing. 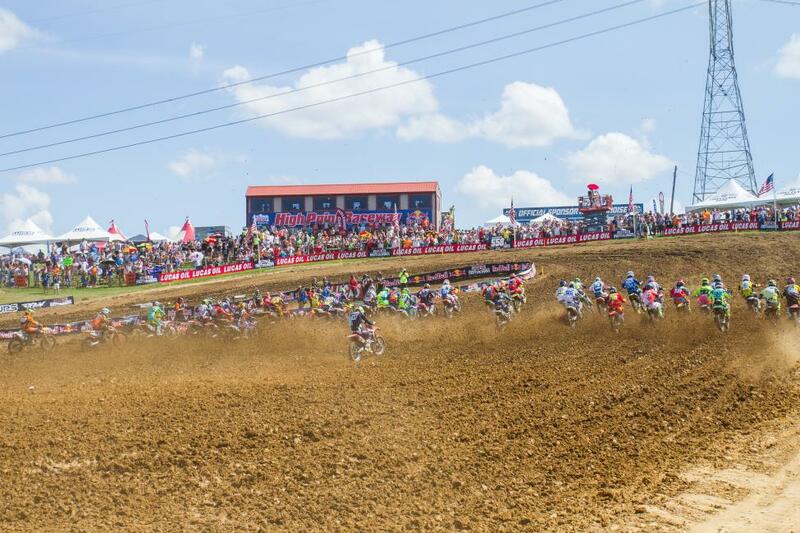 For more information on the High Point National, please call our offices at (304) 284-0084. I am wondering what High Point Club tickets get me? What does it all include? Other than the Super Pass VIP Ticket, the High Point Club is the best ticket available! 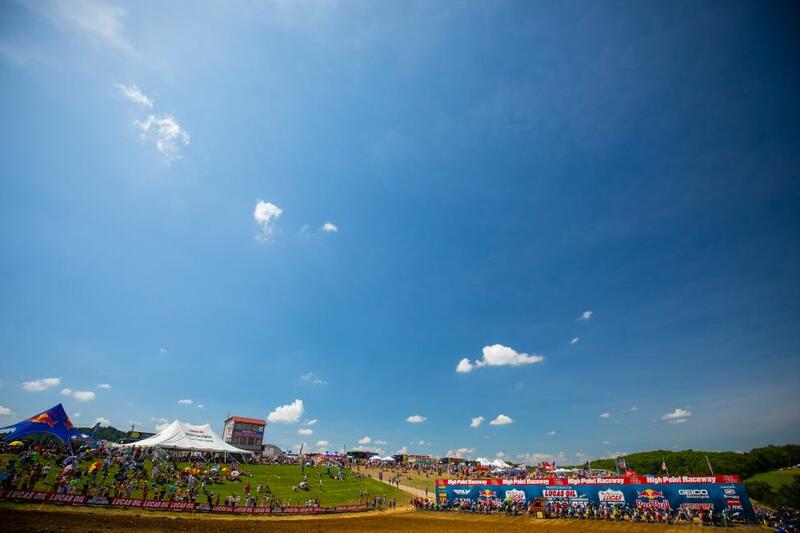 (Formally known as the Holeshot Club) The High Point Club has an increased value for 2018, including admission Friday-Saturday, private viewing area next to the start line with a second additional location across the track near the Lucas Oil Leap, plus Pro Pit access all weekend including all day Saturday 9am-5pm. Yes, but we urge fans to always print out their tickets and bring them to the event. Your phone may not work depending on cellular reception, so always be safe and print ahead of time. FYI: High Point does not have good cell service.